This week we’ve covered turkey, wine, side dishes and vegetarian options for your Thanksgiving meal. Hopefully, you’ve saved room for dessert because today it’s pie time! 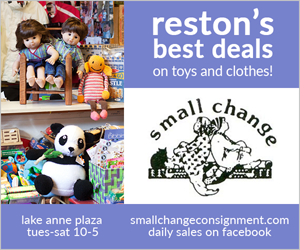 We’ve explored Reston and surrounding areas for the next best thing to homemade. 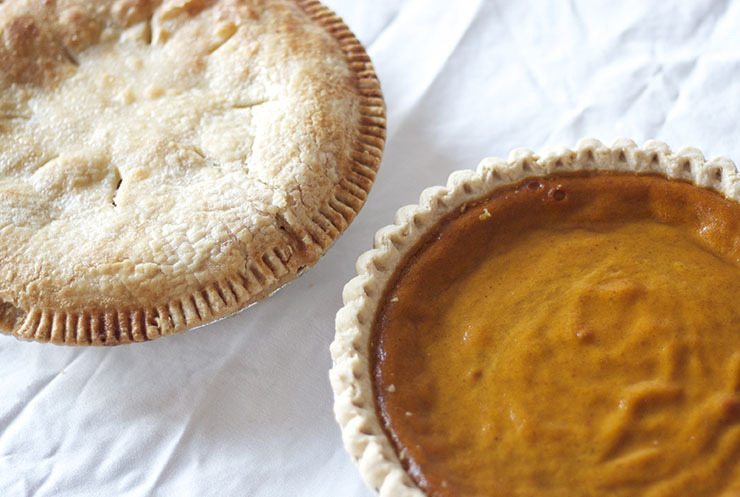 Pumpkin, apple or pecan — these pies are sure to loosen some belts and make you the hero of Thanksgiving. With locations in both Herndon and Vienna, this old world bakery turns out a wide variety of unbelievably delicious pies. 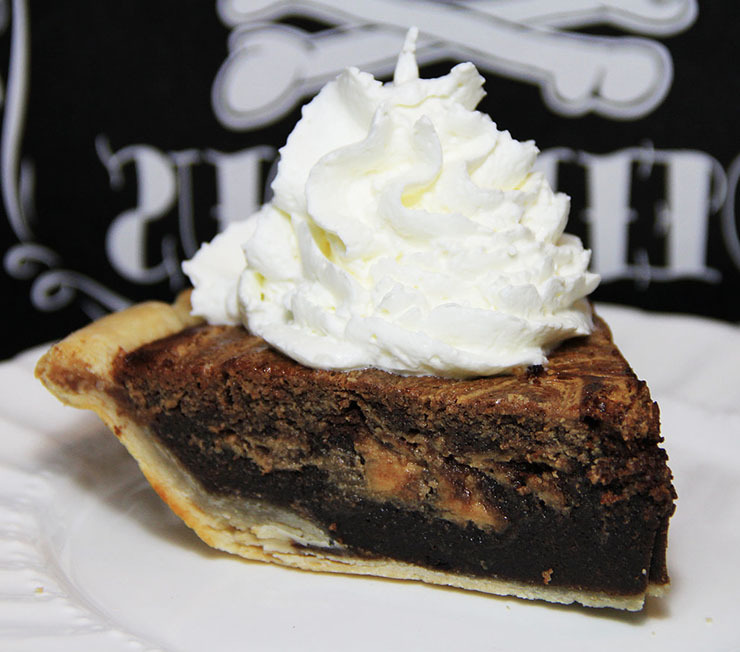 Each month they feature a “Pie of the Month.” This month’s selection is their decadent Black Bottom Pumpkin Pie featuring a crumbly chocolate cookie crust and classic pumpkin pie filling. Black Bottom Pumkin pie. Photo courtesy of Amphora Bakery. All of Amphora’s pies are available in either the traditional standard size or in small individual sizes which is a great option for holiday dessert displays, or as party favors. They also have vegan and gluten free options. 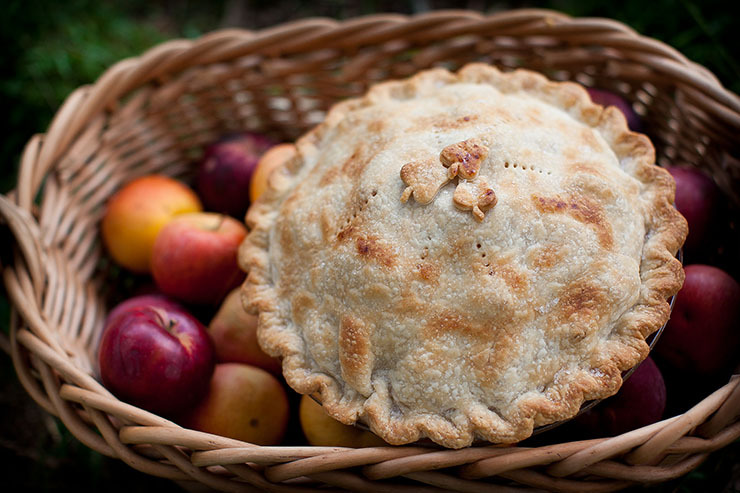 Amphora has a wide selection of pies, including apple rhubarb and a rustic apple galette. This locally owned Leesburg bakery prides itself in baking the very best natural preservative-free pies. In a move that is unique for a bakery, they grow the strawberries, rhubarb, raspberries, blackberries and pumpkins they use in their pies. All other produce is sourced locally as well. 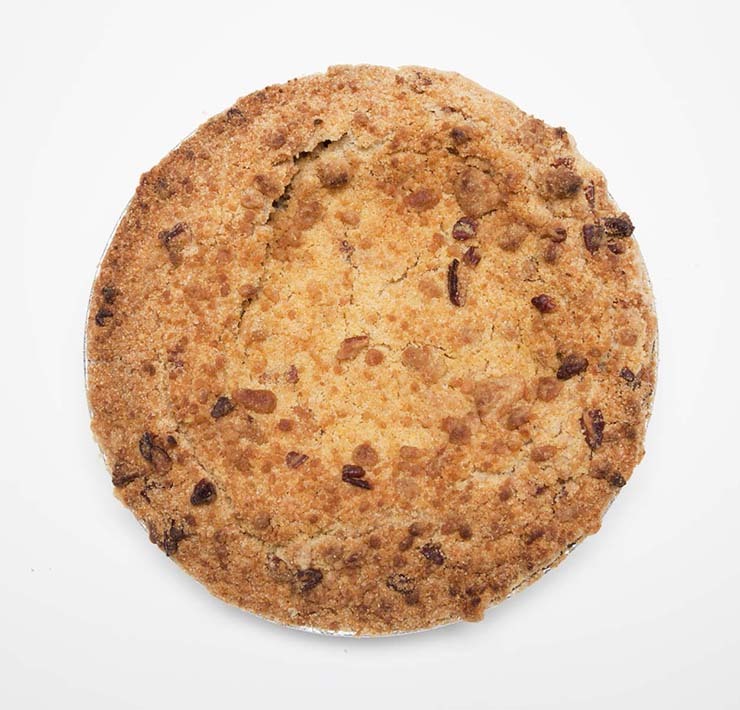 Mom’s has an extensive menu with a huge selection of pies inspired by southern classics such as bourbon walnut, chocolate pecan and cherry crumb. Sure you could go with the standard Thanksgiving classics, but why not surprise your family and friends with a southern lemon chess pie or blackberry peach? The Pie Gourmet in Vienna also has OUTRAGEOUS cream pies and a selection of savory dinner pies and quiches — perfect for visiting houseguests. 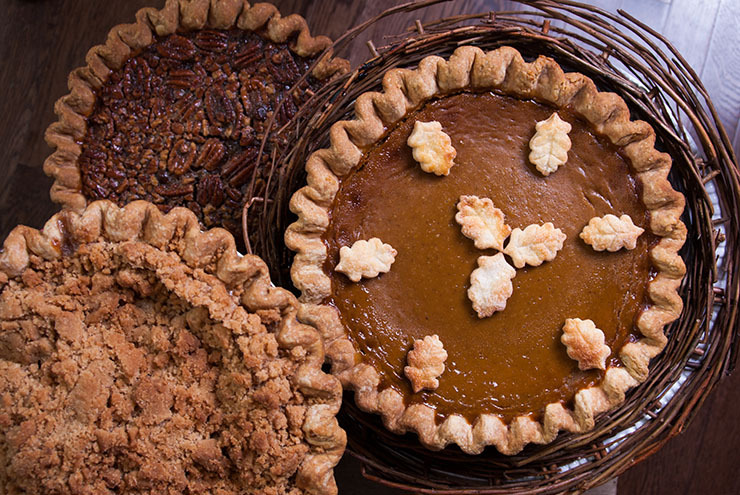 If you are looking for show-stopping and impeccably made pies, then Pie Sisters is the bakery for you! Trust me, their pies (both savory and sweet) are worth crossing the Potomac for. 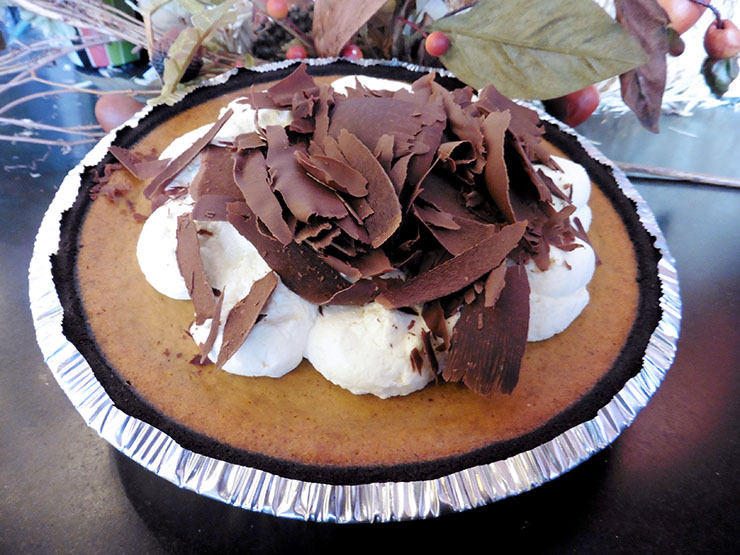 Located in Georgetown, Pie Sisters is owned by three siblings who grew up in Northern Virginia who constantly strive for the tastiest pies and flakiest crust. Their care and attention to detail show in each “cuppie” and full-size pie. If you are looking for something different, their apple caramel crunch and s’more pies are definitely worth a try. You know the old story about the rock and roll frontman who put down his guitar one day and decided to make pies? Ok, so it’s not your run of the mill bakery backstory, but that’s exactly what happened when Rodney Henry opened Dangerous Delicious Pies in Baltimore and DC. Falling back on the lessons his grandma taught him in her kitchen, each pie is made from scratch and infused with love. Dangerous Pies has over 50 varieties on their menu including sweet, savory and quiche. They have vegan options and full-on carnivore pies like beer brat and steak and mushroom. Don’t miss their magical chocolate peanut butter pie, it is seriously dangerous! Chocolate Peanut Butter Pie. Photo courtesy of Dangerously Delicious Pie.